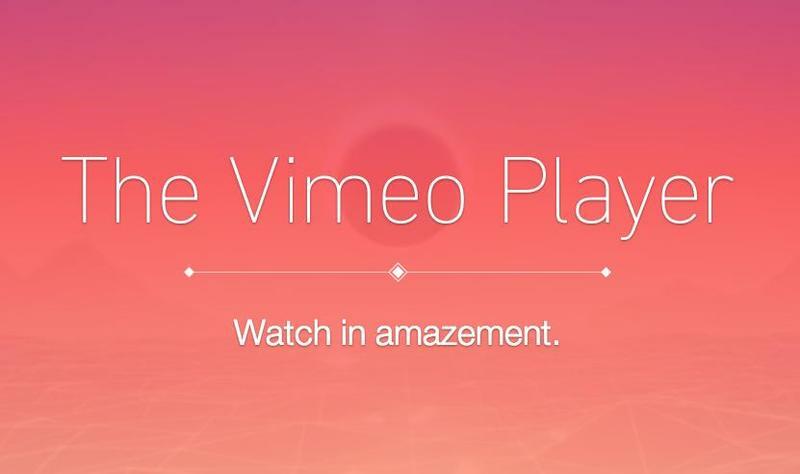 Vimeo, often considered a more refined YouTube, has introduced a faster and even more elegant viewing experience built from the ground up. The video sharing service on Friday said 14 months of work has resulted in what it considers to be its most responsive player yet—it defaults to HTML5 to provide an incredibly quick experience no matter if you're on desktop, mobile or a tablet, dynamically loading design elements based on what device you're using. The player for the most part looks like the previous iteration, with the brunt of today's update taking place under the hood. For those familiar with the platform, Vimeo still looks incredibly beautiful, offering up a minimal design that puts the content first—there are never ads before, after or on top of videos. In addition to the more responsive experience, Vimeo offers some nice tools, such as being able to like videos, watch them later, and share with ease. And for those who post videos on the platform, you can easily change the size, add a logo, and tweak many more customization options. Vimeo has built a reputation as a more elegant alternative to YouTube, offering on-demand content and a much more sophisticated experience. In addition to free and on-demand content, the platform also has a Tip Jar feature coming soon, which enables Vimeo Plus and PRO members to receive cash payments from people who like their videos. So if you're a budding filmmaker, Vimeo might be the platform to go to this coming year.